Suzanne E. Siskel is Executive Vice President and Chief Operating Officer of The Asia Foundation. She oversees the organization’s 18 field offices throughout Asia as well as its San Francisco headquarters and office in Washington D.C. Suzanne worked at the Ford Foundation from 1990 to 2011, serving in various leadership positions in field offices in Southeast Asia and in its New York headquarters. Just prior to joining The Asia Foundation, Suzanne served as Ford’s director of Social Justice Philanthropy, overseeing efforts to mobilize philanthropic resources and to build strong local and regional foundations engaged in social development in the United States and throughout the world. 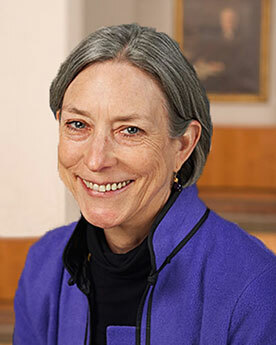 Ms. Siskel joined the Ford Foundation in 1990 as program officer for Rural Poverty and Resources in Jakarta and later headed its offices in Indonesia and the Philippines. In these roles she was engaged in strengthening civil society; promoting economic development and community-based natural resources policy; and enhancing local capacity for socioeconomic research and analysis. Moving to New York in 2005, she directed Ford Foundation’s Community and Resource Development unit, providing support to organizations working in community development, local philanthropy, sexuality and reproductive health, and environment and development in Africa, Asia, Latin America, Russia, and the United States. Trained as a social anthropologist, Ms. Siskel has served variously as a consultant, university teacher and researcher throughout Indonesia, in rural northeast Brazil, and highland Chiapas, Mexico. She first lived and worked in Indonesia as a member of the first cohort of Luce Scholars in 1974 and later returned there as a Fulbright scholar and development advisor. She has served as president of the Fulbright Association; represented the Ford Foundation on the Governing Council of the European Foundation Centre and was a distinguished visiting scholar at the Center on Community Philanthropy, Clinton School of Public Service at the University of Arkansas. Currently she serves on the boards of Winrock International and the Youth Orchestra of the Americas, and is a member of the Global Philanthropy Committee of the Council on Foundations. Ms. Siskel studied anthropology at Harvard University and The Johns Hopkins University.